SwanCare Training Officer, Sharon Arkwright, comes from Ramsgate, the same English town as one of SwanCare Waminda residents, Mrs Baverstock. They got chatting and realised they both even worked at the same bakery! 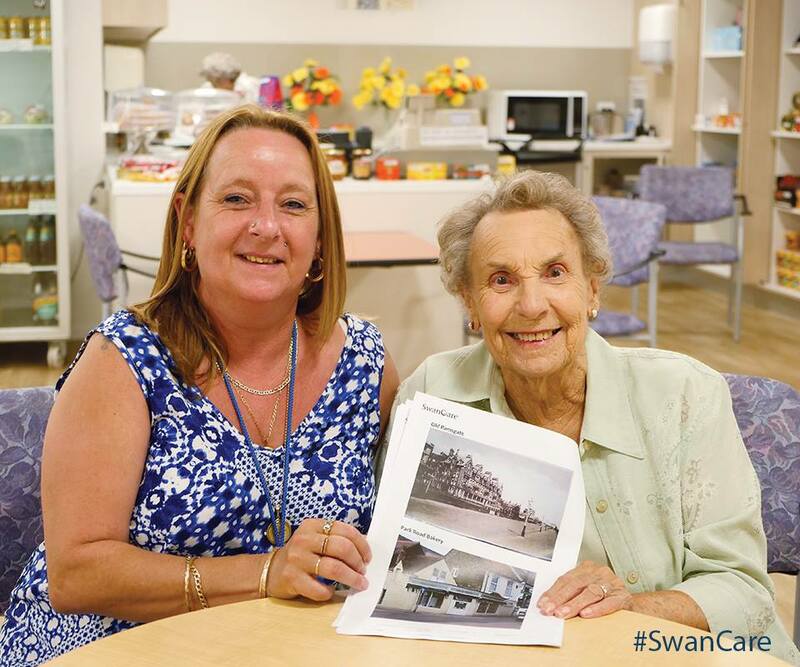 In true SwanCare style, Sharon surprised Mrs Baverstock with a collection of 35 old photos of the town, featuring the very same bakery AND the old Woolworths store that Mrs Baverstock worked in before having her first child. In Sharon's own words, "She was so excited. It was just nice to bring her a piece of home". Thank you, Sharon, for your dedication to our residents and to SwanCare.